A 6-pack of tasty local brews. Sunny days and warmer temperatures are finally upon us and on a consistent basis too. When out in the warm sunshine, it’s important to stay hydrated and one of my favourite ways to stay hydrated is with a nice cold beer, especially an Ontario craft beer. Sure you can enjoy our region’s great craft beers at any time of the year, and I do, but there’s nothing like sipping on your favourite brew by the water at the cottage or even on your backyard deck on a sunny summer day. There are a number of craft breweries all across Ontario’s Southwest producing tasty beers all with their own unique flavours. They all have solid permanent beer line-ups and feature numerous seasonal offerings throughout the year. There’s so much choice in our region alone but I’ve managed to pick my six favourites, I tried to make a Top 5 but it just couldn’t be done so a Top 6 it is. 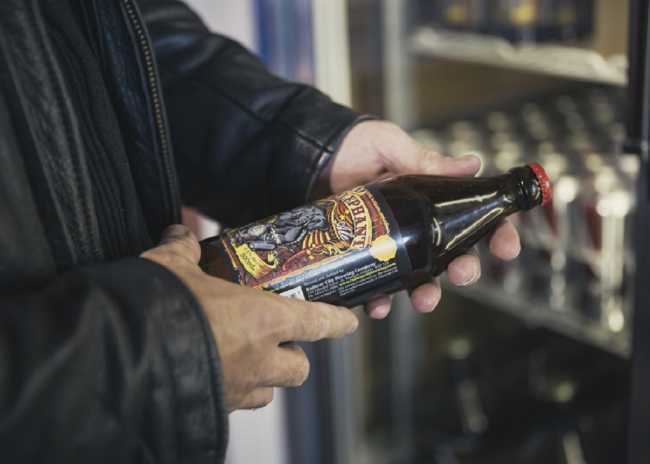 Railway City Brewing Company, located in St. Thomas, is one of the largest craft breweries in our region and the only one that has a selection of their product available at the LCBO. One of these is a personal favourite, Dead Elephant Pale Ale. Named in honour of Jumbo the Elephant, the beer is a full bodied golden IPA that’s packed with flavour, hints of fruit, and a really pleasant lingering hop finish. Dead Elephant can be picked in cans at the LCBO, but if you head to the brewery, you’ll have a lot more selection and have a chance to take a tour. 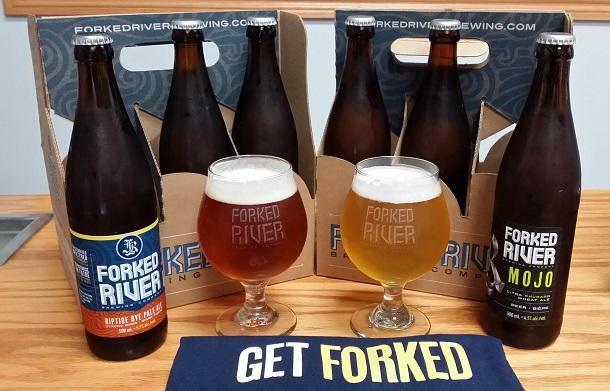 Coming in next is Riptide Rye Pale Ale from London’s only craft brewery, Forked River Brewing Company. The beer is made in the pale ale style with the addition of a rye twist. If you like a beer with big flavour, Riptide is for you with its blend of bold hop flavours and a slight spice finish thanks to the rye. You can pick up Riptide at the brewery in both bottles and growlers and if you’re wondering what to pair it with, it goes great with barbequed ribs and beef burgers. Kristal is a wheat beer from Windsor’s Walkerville Brewery, another one of the larger craft breweries in our region. This is the brewery’s spring offering and when I tried it for the first time; I must say it tasted like summer was here. There are citrus scents on the nose and slight citrus flavours on the tongue; this combined with the crisp finish, makes for a very refreshing beer for the warmer temperatures. You’ll find Kristal at Walkerville Brewery, located in the historic distillery district of Windsor, and if you have the opportunity, be sure to take a tour as there’s great brewing history to be heard. It’s difficult not to think about summer when you make your way to Bayside Brewing Co. in Erieau. The brewery is located just steps from Erieau beach and the on-site brew pub’s patio features a great view of Rondeau Bay. The brewery’s flagship beer is the Long Pond Lager. It is a great easy to drink sipping beer thanks in large part to its light body, clear, crisp taste with a hint of sweetness, and a smooth finish. It pairs well with grilled meats and vegetables which makes it a great beer for summer barbequing. There’s plenty of other great pairing that you’ll find on the brew pub menu at the brewery. I couldn’t make a list of my favourite craft brews with summer approaching without adding in a refreshing pilsner, specifically Ramblin’ Road’s Country Pilsner. Ramblin’ Road Brewery Farm, located in La Salette in Norfolk County, is just what the name implies, a functioning farm, growing their own hops and drawing spring water from their own land to make their beer. The Country Pilsner features a nice balance of bitterness from the hops and earthy malt tones from the grains along with a tiny twist of sweetness in the traditional Pilsner finish. The beer pairs well with finger foods, fish, sausage and light desserts like fresh berries with whipped cream; basically the types of foods I love to enjoy while at the cottage. 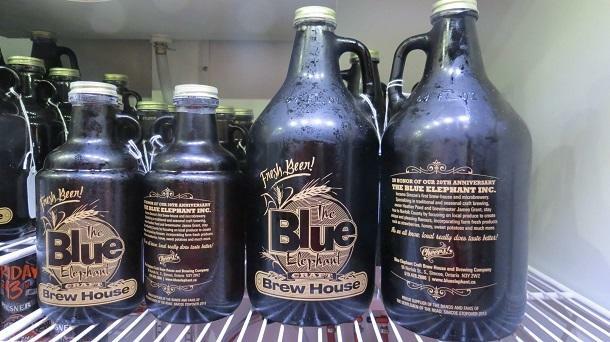 Continuing the journey through Norfolk County, we arrive at Blue Elephant Craft Brew House in Simcoe. Blue Elephant restaurant is well known in the area for its great local food and now offers a nice lineup of beers brewed at the on-site brew house in traditional European fashion to complement their menu. My favourite is their Red Devil Ale, a medium to heavy bodied brew with a very nice caramel smell and taste mixed with notes of hops and grains. So far, my favourite dish to pair with this brew is chicken but it also pairs well with seafood and spicy dishes. This list is just a start, no matter what your tastes are when it comes to beer, there are craft breweries in Ontario’s Southwest that have a beer you will love. Plus, you can even take tours at a number of the breweries when you go to pick up your beer. As difficult as it was to narrow down my favourites list, I will definitely have to revisit and revise my choices later as there are a number of new craft breweries set to open up over the course of this year; but I am looking forward to continuing this hands-on research. Cheers!